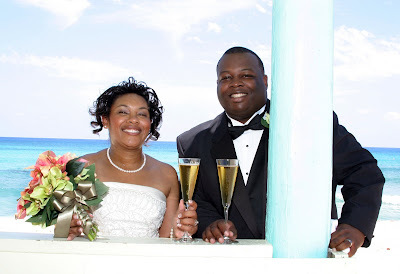 This couple met post-Katrina in New Orleans when he was interviewing her for a position. Impressed by everything about her, the Groom said she was perfect for the job, but he was conflicted because he didn't know whether to hire her or ask her out on a date! 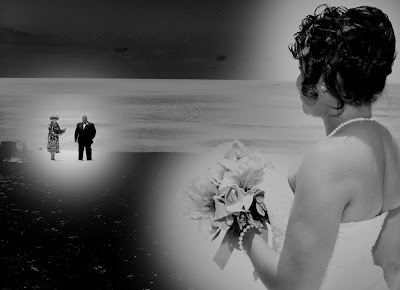 It didn't take long for both to realise love was in the air, and in a matter of weeks he knew she would someday be his wife. 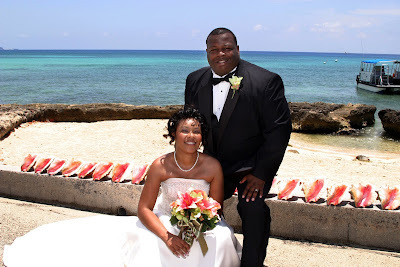 Their dream of a beach wedding in the Caribbean came true last week when they were visiting on the Carnival Pride. I don't know where all these conch shells came from, I never saw them there before or since. Every wedding day should show a bit of the child in all of us. It was so hot, it felt like summer and we were glad for lots and lots of ice-cold sparkling cider. 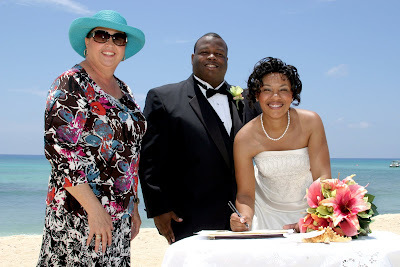 Ceremony by Joy for Simply Weddings, your Cayman Islands cruise wedding specialist. 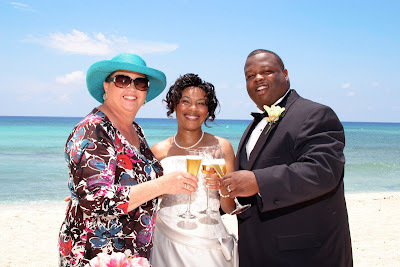 This is my All- inclusive cruise wedding. 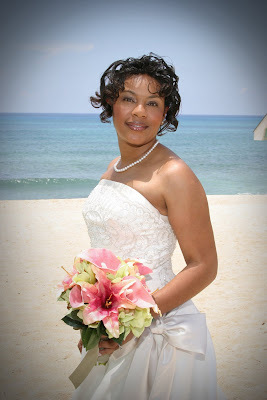 Flowers supplied by the bride, photos by Mari of Island Photo. 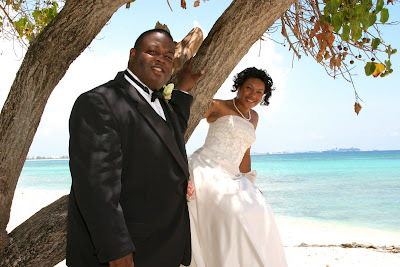 This wedding took place at Blue Water Beach, West Bay, Grand Cayman.